The amount of data that any business produces is simply huge and keeps growing. As data volumes grow, instances of data loss become common. Data is the one of the most crucial functions on which business thrives, and unexpected data losses can take a huge toll on business operations. To maintain continuity of operations, organizations need to ensure that every bit of data that it produces is backed up, protected, and available to restore at most crucial times. 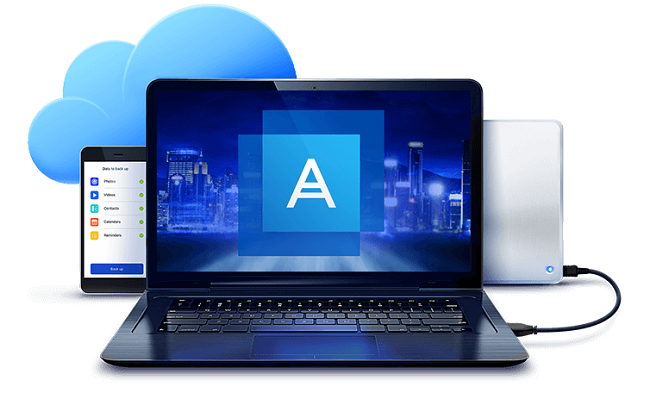 Though there are several data backup software available on the market, the Acronis backup service provides many features aligned to the backup needs of organizations. Continuing the discussion, the blog post discusses five good reasons to use Acronis backup service for your organization. Many web attackers plant ransomware on business computers through shady websites and phishing attacks to lock files. After a file is remotely locked, the web attackers ask for a ransom money to unlock the files. To nullify ransomware attacks, Acronis leverages the patent-pending Acronis Active protection to protect your system against ransomware infection that includes files and applications installed on the system. Many organizations find storage costs going over the roof, the moment they start devising a backup strategy. Depending on the complexity of the backup environment and the number of business users, the size of the data that requires backup can be overwhelming. All too often, most backup solutions retain multiple copies of the same file whenever a backup is in progress. Leveraging storage deduplication, Acronis backup service helps in eliminating redundant backup files and creates a backup of only those files that have undergone a change since last backup. Most organizations are transitioning to a remote work culture these days, wherein business users demand data access on the go. That said, creating a physical backup is not feasible for remote users. The Acronis backup service allows administrators to configure remote backups that goes directly to the cloud, so that a business user doesn’t need to run from pillar to post, should the need arises. As data is backed up to the cloud in real-time, users can recover the required file(s), as and when required. Recovering data through the Acronis backup service is a cakewalk and can be performed in a few mouse clicks. Your business users can recover pretty much everything whether it’s a file, folder or a data fragment. Acronis backup service, therefore, is not only a powerful backup software, but also helps with quick recovery. Business users or administrators can search the files among cloud backups with a quick search option, select and press the restore button to regain access. Acronis backup service is truly a “set and forget” backup solution that administrators can use to backup business-sensitive information and data in no time. All you need is to set up the account after reading the instructions manual and install a lightweight client to the endpoints you want to manage and backup data. After installing the client, administrators can get a listed view of all the endpoints to manage and start creating local and cloud backups. Every business needs to ensure continuity of its operations to sustain in the long run. The Acronis backup service is designed to take care of the complex backup needs of your organization in one of the most simplistic ways. The solution is easy to deploy and manage, and most importantly, gives you absolute peace of mind. Acronis supports all major physical and virtual platforms such as Windows, Linux, Hyper-V, and Citrix Xenserver and allows a centralized management. If you need to introduce Acronis backup service to your backup environment, i2k2 Networks can help. IT architects and solution experts at i2k2 can help you in all aspects of Acronis, whether it’s deployment, troubleshooting or maintenance. To learn more, fill out our contact form. You can also call us at +91-120-466 3031.